The Door - Film Review - by The Carpaccio Bros. 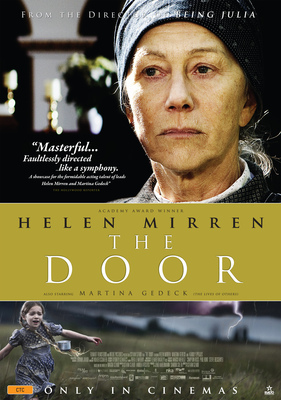 The Door with Helen Mirren is a film adaptation of the award-winning novel of the same name (Hungarian: Az ajtó) by Magda Szabo. 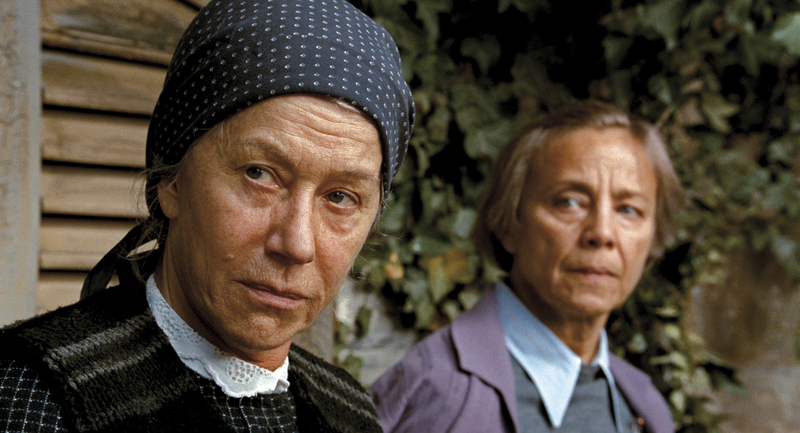 It is set in post second world war Hungary and examines the relationship which develops by an aspiring writer Magda (Martina Gedeck) and her rather eccentric house keeper Emerence (Helen Mirren). After Magda's first encounter with Emerence it is clear that emergence is no ordinary maid, no one knows anything about her background or private life. Emerence guards the door of her house fiercely (hence the title) and never allows anyone to cross the threshold into her life. As their relationship develops it leads Emerence to reveal small pieces of her traumatic past and sheds light on her peculiar behaviour. Auteur filmmaker István Szabó found a great deal in Magda Szabó's story The Door to represent the classic struggle of human nature. Considering the marvellous novel to be a masterpiece, Sazbo nonetheless was attracted to the simplicity of the story about two vastly different women and their decades long relationship. 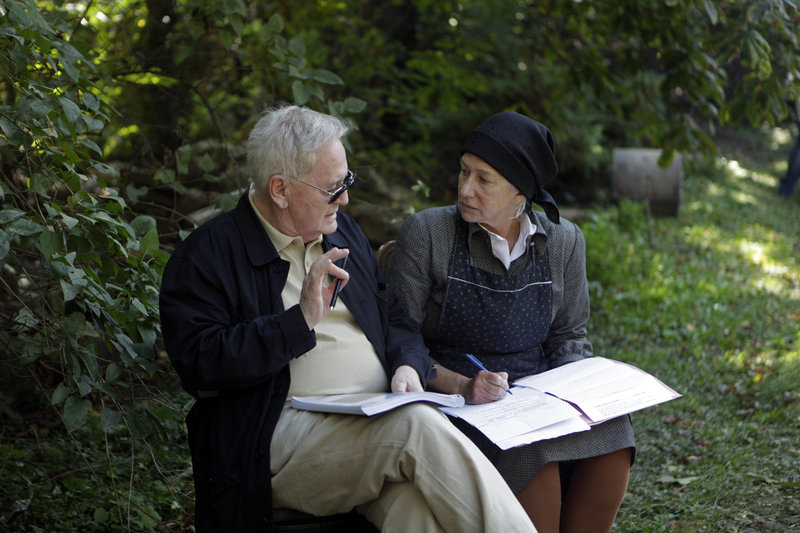 The story is about the human relationship, the many levels of human relationship, between a lady writer and another woman who helps to clean her around the house so she can have more time for writing," explained Szabó. "But the interesting thing in the story is they are both strong personalities and both would like to influence the life, or at least the way of thinking, of the other. So, the complexity exists as one tries to interfere: how can you change the life of somebody else? To change something in another person is quite difficult. And I'm not sure you can be successful. Set in mid-20th Century Hungary where the effects of the war are still being felt, there is a back drop of suspicion and mistrust everywhere you look. The government control is still felt everywhere and this is affecting Magda's readership and writing alike. Cinematically the film, is breathtaking, filmed on location in Hungary, the lighting and landscapes truly are beautiful and nostalgic, no matter what your background it will take you back to your childhood. The costumes are simple but era appropriate and one thing that I thoroughly enjoyed was the actors not pretending to have accents, the English actors had English accents and the Hungarian actors had Hungarian accents. The film did, however, take a while to get into. The first 30 minutes (of a 90 minute film) seemed slightly disjointed but it is worth the wait as the audience soon develops a strong connection to both characters and you are drawn with intrigue to find out more of Emerence's past as she reveals it piece-by-piece. As you learn more about her past everything starts making more sense. 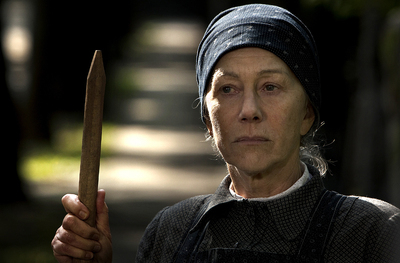 Dame Helen Mirren has forgone all makeup and ceremony in this role, when compared to her in Arthur. It is hard to believe it is the same actress. She has bravely taken on a role in which she had to act her age (if not slightly older) and I for one loved seeing such an experienced actress playing this eccentric housekeeper. The film brilliantly illustrates the bond as it develops between these two very different women and, ultimately, the tragic end of their relationship. The Film opens in Australia on the 17th of July at major cinemas. Highly recommended for anyone who enjoys slow but detailed character development with beautiful cinematics and a plot line that your brain will do backflips to try and figure out. This is a very depressing film. The editing has made the film disjointed. Great acting by the 2 female leads but this is not enough to compensate for the films other deficiencies. Thank you for this accurate review of the film The Door. I have just read some rather unsophisticated and naive reviews of this film .... by Australians. C'est le vie.